Remember how simple it was to boot in safe mode whenever your computer was giving you trouble? All you had to do was hit F8 a bunch of times and the boot screen would pop up. It looks like with Windows 10, they decided to make it a little more difficult. On the login screen click on the power icon (lower right) then hold the shift key while clicking “Restart” from the popup menu. During the reboot you will get a “Choose an option” menu. Click on “Troubleshoot”. From there click on “Advanced options”, “Startup Settings” then “Restart”. The screen you see will pop up after your computer has rebooted. On that screen you’re going to press 4, doing so will enable safe mode. I’m not sure why Microsoft felt the need to “improve” this part of their software. I don’t like it but I do like Windows 10 and never needed to boot into safe mode on my personal computer so I’ll live with it. 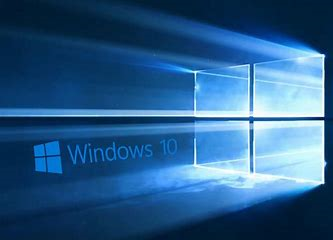 There is another way to boot into safe mode on Windows 10 but this requires using a method that you need to reverse when done. Every boot after that will be a boot into safe mode until you undo the changes in msconfig.exe. Now you know how to boot into safe mode in Windows 10. What was wrong with the F8 method in the first place? Do you think the update is necessary? Put your thoughts in the comments below. Depending on the computer I believe the F8 option is still available. Though generally speaking you do have to get into safe mode by first getting into Windows….which is kind of useless especially if your system doesn’t boot normally. I think you may be able to get into safe mode still by forcing your computer off during boot…but that brings it’s own risks.